Not Mona Lisa: this is a Costa Rican Last Supper. Our last bus stop on the way to the airport: a souvenir stand alongside the road, with vast quantities of wood carvings, weavings, pottery, and everyday tchotchkes. I'm always fascinated by Leonardo parodies like the one above which featured prominently in the souvenir stand. The ewer and towel in the foreground are not present in the original, shown at right. The Central-American embroidery on the tablecloth is more prominent than the faint embroidery in the original. 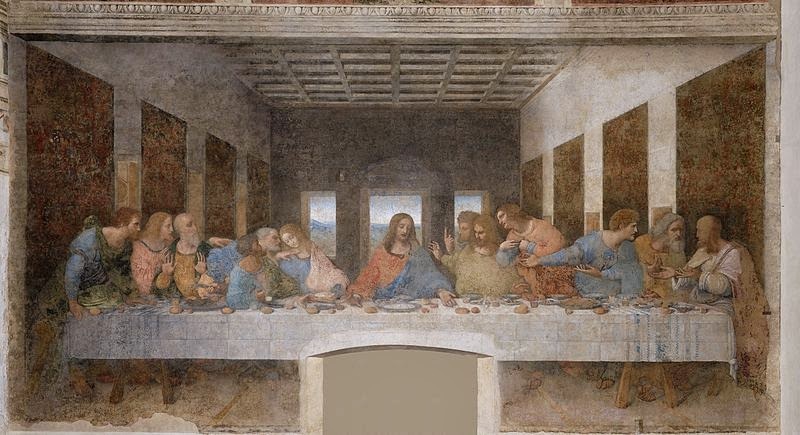 Most interesting: the length of the table is very condensed here, compared to the original, and the dramatic vanishing point effect is completely lost. 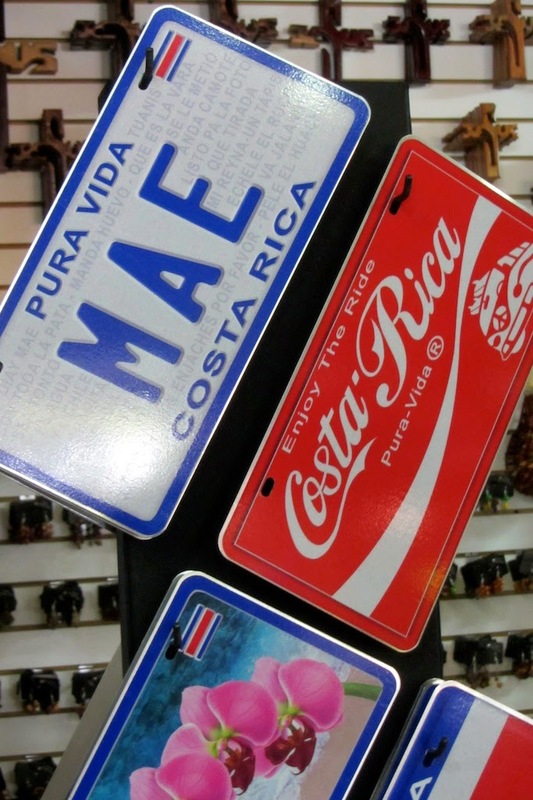 A Costa Rican slang expression: "Mae" means something like "Dude"
Who knew? "Pura Vida" is the national slogan. Like "Pure Michigan," I guess. I bought a very nice woven bag for carrying miscellaneous stuff, and instantly used it as an extra carry-on bag for the plane trip home. 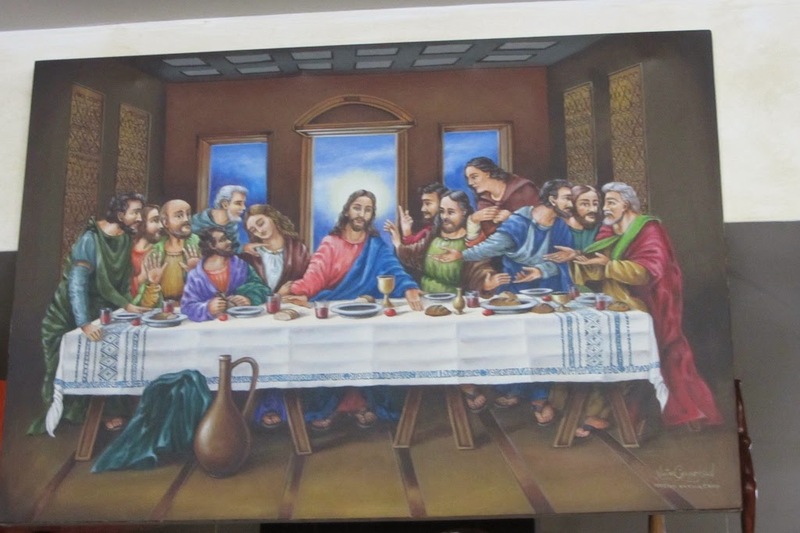 I only collect Mona Lisa items, so I didn't buy the Last Supper, just took the photo. And I didn't buy the "Mae" license plate either. This was also the first place where we had free wireless internet since leaving Miami a week earlier: a record for no-internet living.